View basket “Pencil | Mr. Office in HB” has been added to your basket. 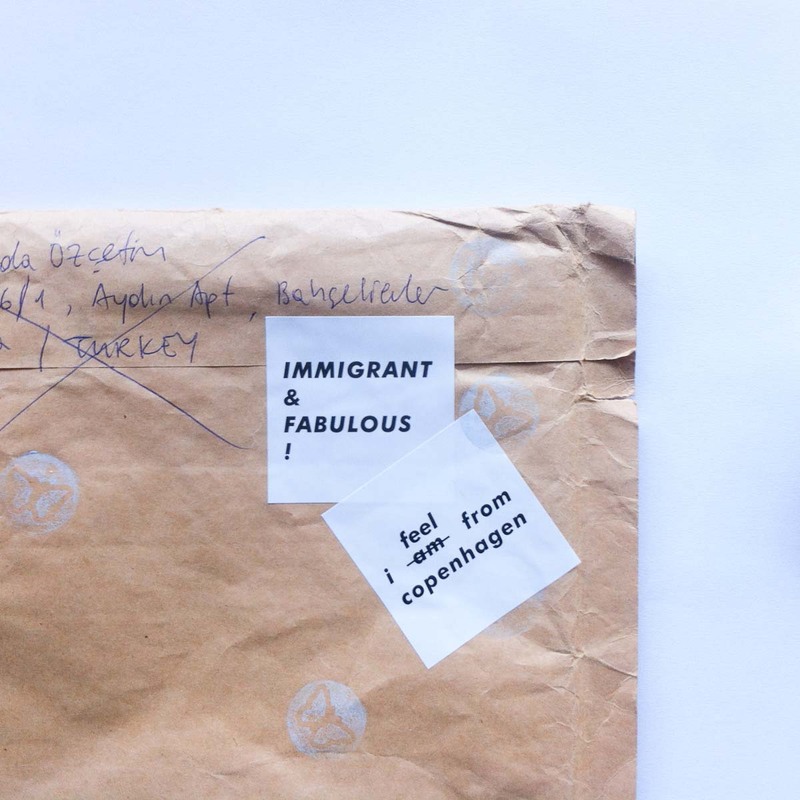 Sticker Set | Immigrant & Fabulous! 6-pack sticker set for the fabulous immigrants. We sometimes need to make some statements that stick. We have been really bothered by the negative talk on immigrants. Even the word itself is almost perceived as an insult. To change that, we need to reclaim the meaning of the word immigrant and moreover just say it out loud how fabulous we are. 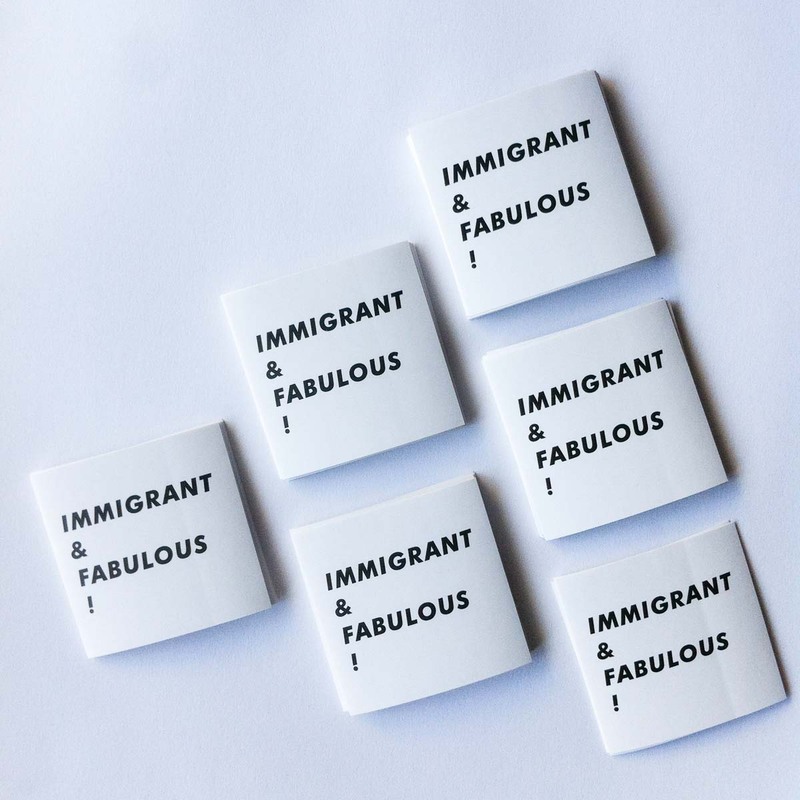 So, if you feel like us, the sticker “Immigrant & Fabulous!” is here to help. Stick it to where it makes sense. 6-pack sticker set for the fabulous immigrant. This sticker is designed for the collection “I Feel From” that is part of “I Feel From” social movement initiated by Hamide Design Studio. “I Feel From” aims to challenge the focus on nationality with a new way of defining self, which is based on feelings of belonging to rather than race or place of birth. Description: The sticker features the statement “Immigrant & Fabulous!”. The package includes 5 pieces of stickers. Print | Immigrant & Fabulous! We are a Copenhagen based design studio enhancing the everyday life through aesthetic experiences. Besides our own product line, we provide design consultancy service to third parties. Hamide Design Studio © Copyright 2010-2019. All Rights Reserved.